Winston Churchill wrote ‘history is written by the victors.’ His statement succinctly captures the reality that all history is reported from a given perspective. As readers of history it is important we acknowledge this truism. As writers of history it is even more important we understand and acknowledge our own biases, and we critically assess the work of our colleagues, particularly when we rely on them. The other day a German historian I’ve been collaborating with showed me a new book written about shipwrecked seamen. It’s a gorgeous book, beautifully produced, that enumerates vessels attacked and sunk off Ireland. So naturally it includes materials about all the vessels that Hans Rose, at the helm of the U 53, attacked around the Emerald Isle. I checked the index, found the page references for U 53, and proceeded to review them. The author performed a huge amount of work to track down each boat sunk off Ireland and then meticulously compile data about the wrecks and their seamen. 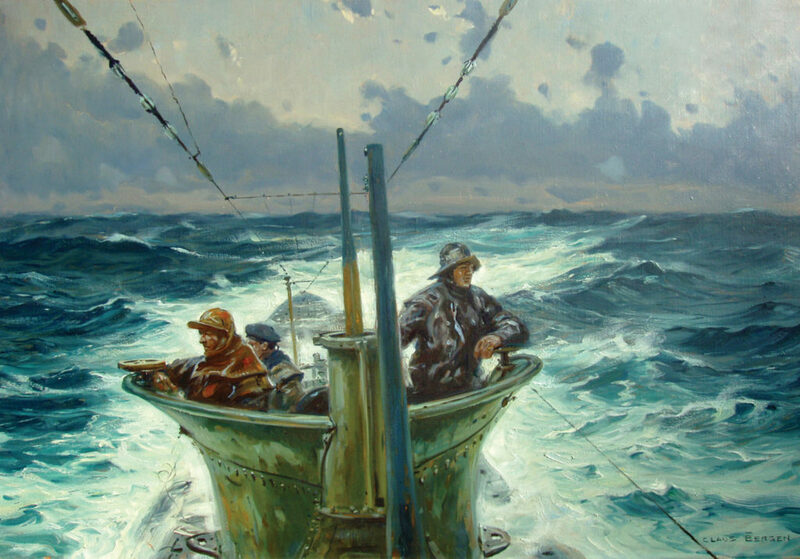 Mostly it’s pretty raw stuff: dates, boat specifics, number of crewmen rescued and lost, and the occasional exciting account of a rough seas rescue. Not really a page turner, it is more like a scholarly data compendium. Perhaps to make it more readable the author provides “context”, placing each wreck in its historical waters. That’s when my blood began to boil. Because at least for Hans Rose, the author appears to be uncritically relying on secondary sources for his filler. So when those secondary sources get it wrong, he unwittingly plays the role of loudspeaker, amplifying the effect of their erroneous description of history. Historians all rely upon secondary sources to provide us with the larger picture. How do we determine which secondary sources and opinion deserve our respect? Obviously a key way is to validate them against primary sources. Another method is to assess the reputation of the reporting historian. Cross-referencing interpretations is a third. The biography, Der Kapitän - U-boat Ace Hans Rose, (Robinson & Robinson, Amberley Press) chronicles how Rose served Germany with distinction in both World Wars. 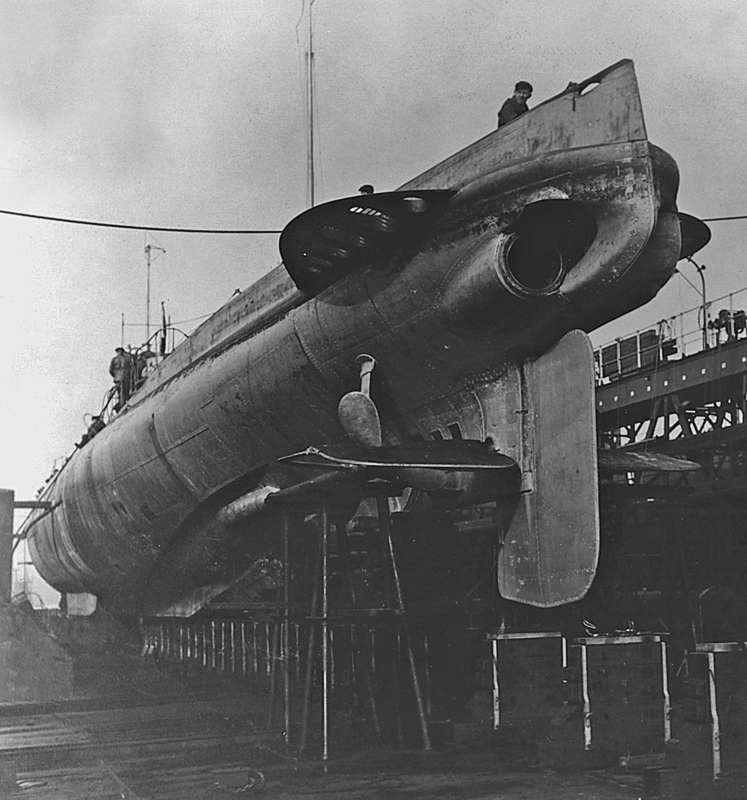 As captain of the U 53, he became internationally renowned for his unprecedented 1916 round-trip to the United States, more than doubling the longest solo submarine voyage hitherto accomplished. Later his extraordinary choice to send his enemies the coordinates of American sailors adrift at sea demonstrated that Rose would become Germany's fifth most successful U-boat Ace, and her most successful Ace during the convoy period, without sacrificing his sense of chivalry. 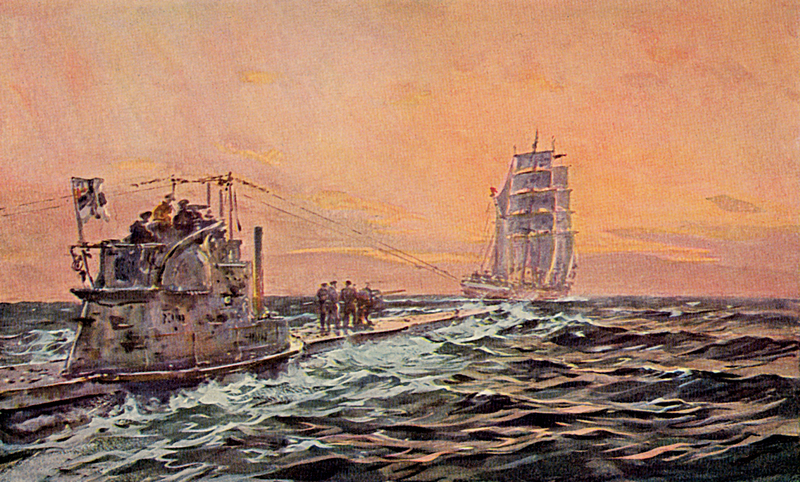 Rose’s remarkable military career included duty at the court of the Ottoman Sultan at the turn of the 20th century, exploits as commander of a destroyer and then command of U 53until the end of WWI. Contextualizing Rose's WWI achievements, the biography includes a short primer about submarine technology, U-boat operational realities at the start of the Great War, and a discussion of how the introduction of convoys changed the naval battlefield on which Rose fought. Through the end of WWI, Rose's story is straight forward and gripping, as are his travails during the 1920s. On one occasion, following a confrontation during the occupation of the Ruhr, Rose’s stature as a national hero and his international reputation saved him from a long prison term at the hands of the occupiers. Rose’s role during the Nazi era is more complex. Thus, careful emphasis is placed upon a study of the interwar period that saw the occupation of his homeland, economic collapse, and the rise of the totalitarian Nazi regime. 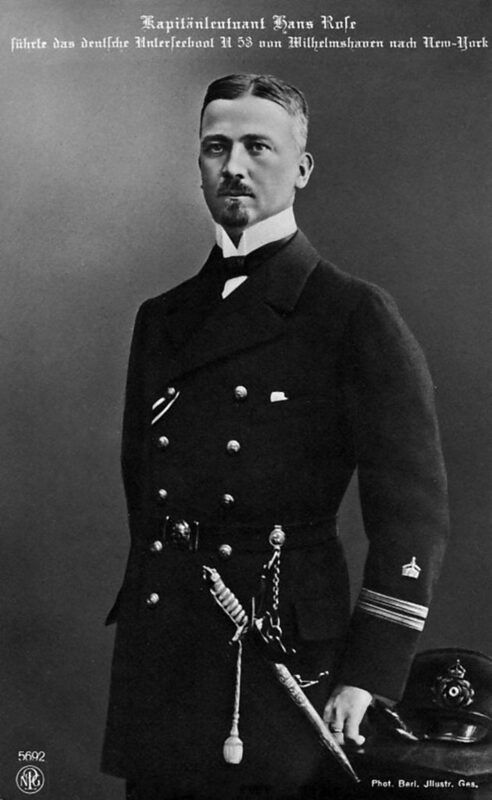 His renown made Rose a figure courted by the Nazi party, and caused him to cross paths with Adolf Hitler several times. Rose considered himself “a German knight.” After exploring the realities of resistance in a time of police state, the biography documents Rose's courage in facing down the Nazis during the 1930s when he felt he had to. Then, compared to the Gestapo and the SS operating in the same theatres of war, it chronicles his opinion of them and the stark difference in the way Rose conducted himself as a warrior during WWII. Between these two great conflagrations and in their aftermaths, Rose and his family shared the trials, tribulations, and very personal disasters faced by the German people as a whole. This well researched biography, over a decade in preparation, is designed to satisfy both the general reader and domain experts demanding a rigorous analysis of naval history and the political realities of the German interwar period. 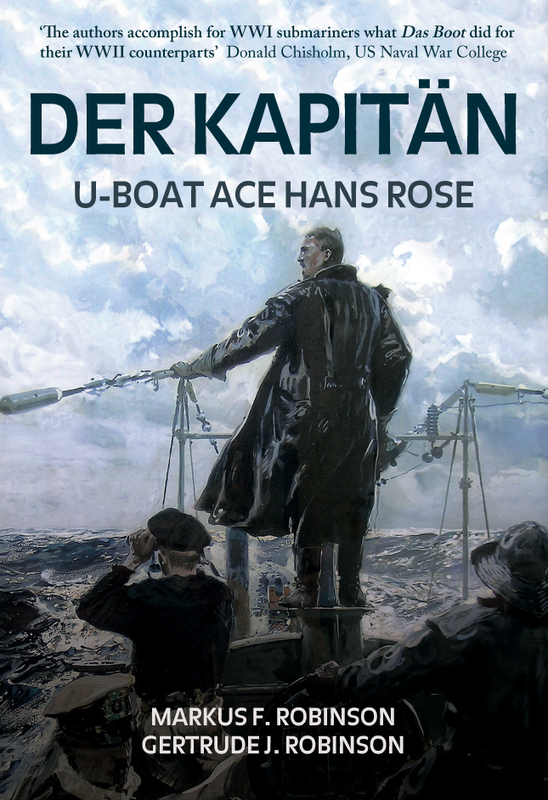 Markus F. Robinson and Gertrude J. Robinson's new book Der Kapitan: U-Boat Ace Hans Rose is available for purchase now. This entry was posted in Blog and tagged Naval Officer, U-boat Ace, Navel History, U 53, U-Boat, Der Kapitan, Gertrude J. Robinson, Markus F. Robinson, Der Kapitan: U-Boat Ace Hans Rose, WWI, WWII, Military History, Amberley Publishing on October 15, 2018 by Amberley Publishing.